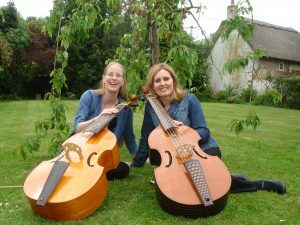 The Rondo Viol Academy (RVA) www.rondoviolacademy.co.uk is a new initiative set up by viol players and teachers Jacqui Robertson-Wade and Alison Kinder. It exists to provide teaching material and coaching for viol players of all ages and abilities. Most modern instruments have books of graded repertoire for both soloists and ensembles, but for viol players it can often be difficult to know what to play next. The RVA is linked to Rondo Publishing and will produce books of repertoire at different levels, so players can find the level that suits them and work up through the books a stage at a time. We run coaching days focusing on solo repertoires for each level, and weekend courses for consort playing. 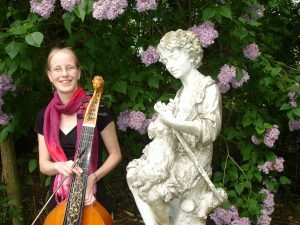 Jacqui studied cello and viola da gamba at Trinity College of Music and returned as a mature student with a scholarship to study the repertoire of late French viols. She is the author of the internationally acclaimed Viol Player series and teaches on courses for viols throughout the UK and at The Early Music Shop. Alison read Music at Oxford and then studied for an MMus in viol at Trinity College of Music, being award the college’s Silver Medal for Early Music Studies. She performs regularly with several period instrument ensembles and teaches both privately and on summer schools and other early music courses. For more information please visit the Rondo Viol Academy website.